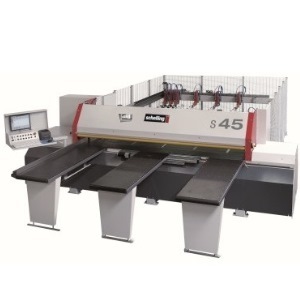 The Schelling s 45 offers a versatile cut-to-size saw. 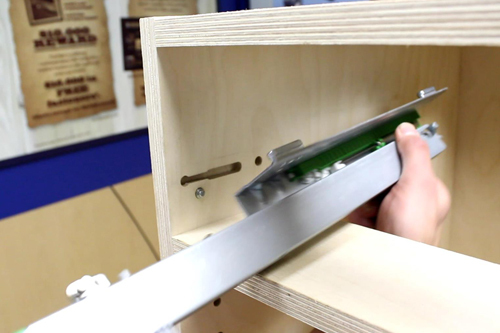 It has the ability to cut boards to size and at the same time cut bevels, grooves and mitres, says the company. The patented Schelling s 45 has a unique saw carriage system that can tilt the entire saw carriage up to 46 degrees and offers flexibility, intuitive operation and speed, says Schelling. 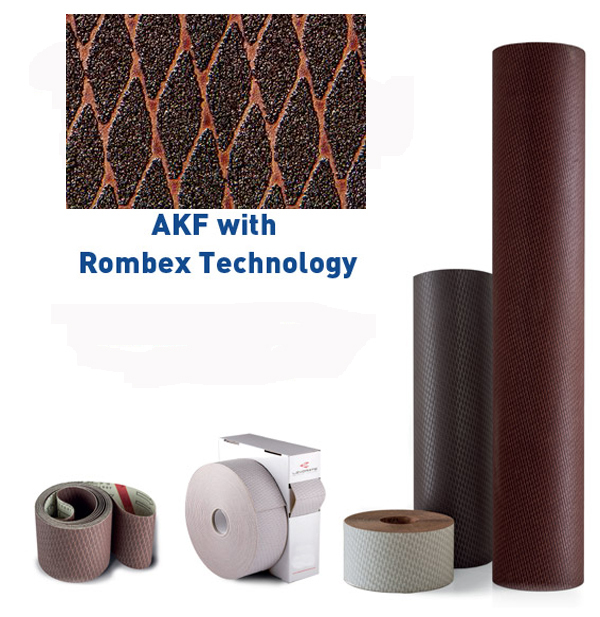 The capability of combining cut-to-size with bevel cutting, compound mitre cutting and grooving / kerfing on one machine saves time, material handling, possible damage to parts and floor space, adds the company. The entire process, from raw board to finished parts can be accomplished in manual, semi-automatic or full-automatic work mode on the same machine, with one-man operation. Mitre and angle cuts, grooves in any width or depth or in combination with cuts, square cut outs for glass insertion, corner notch out for toe kicks and more are all programmed and processed in one operation, says Schelling. 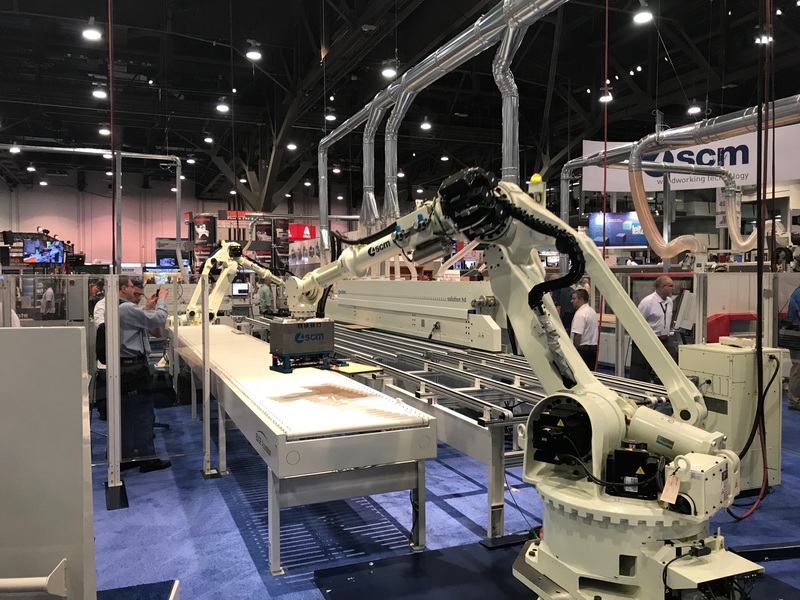 Features include a 19 HP saw motor, 2.5 inch book height, up to 300 ft/min saw travel speed, intelligent short stroke pressure beam system, adjustable clamp pressure, optional symmetric cutting feature with laser guidance for veneer cutting, formatting stops for alignment of panels with laminate / veneer overhang and more, says Schelling. For more information, see Schelling's You Tube video.